We build up a strict quality management system to ensure product quality. Now, DWR has two subsidiaries. The plant covers an area about 4000 m2 and has 5000 m2 architectural areas with more than 485 workers and technical personnel. Our fixed-assets investment is 15 million dollars. We have passed ISO9001: 2000 quality management system certification and TS16949 authentication. We are based on the area of bearings production in brand. Meanwhile, we're cooperating with leading bearings manufacturers at home and abroad in order to supply more good-quality products and better services to our customers. Most of them have already passed ISO9001 or TS16949. Reliable inventories of components managed with efficient logistics and transportation enable DWR distributors to obtain and implement the powerful transmission solutions according to customer's requirement. DWR is focused on bringing the superior-quality bearings to you wherever and whenever you need in the world. 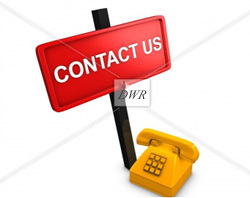 DWR is our brand, we promise that we will offer you high-quality and reliable products with reasonable price. Fresh new DWR tapered roller bearings can meet your needs in high-end application. We adopt advanced technology to increase reliable operation and our products have passed TS16949 Quality Assurance System. Our company keeps the development direction of technology innovation and we invest the most funds to introduce advanced equipment constantly, which provide solid backing for the output of high-grade quality products. Our bearings utilize international technology, so they have higher load and longer service life. All DWR bearings should be inspected strictly by using most advanced inspection machine. We promise that each batch of our bearings has the best quality. The company uses the first-rated inspection instruments, trains high-quality technical team and strong-power worker team, pays attention to every working procedure and offers qualified products in the first time. Jiangsu TWB Bearing Co., Ltd.
TWB® brand was established in 1996, with product range covering spherical roller bearings, cylindrical roller bearings, tapered roller bearings, thrust spherical roller bearings, deep groove ball bearings, angular contact ball bearings, slewing bearings and related parts. From primary metals, mining, off-highway, paper to cement, crane and elevator, TWB® has been well recognized by customers in these key industries all around China as well as some overseas regions. Wafangdian Jinfeng Bearing Manufacturing Co., Ltd is located in Wafangdian city, Liaoning province, China. It is a faster growing bearing enterprise which is founded in 2000 possessing 860 staffs, covering an area of 120 thousand square meters and having building area of 70 thousand square meters with annual sales value 310 million USD . Wafangdian Dongxu Non-Standard Bearing Group Co., Ltd.
Wafangdian Dongxu Non-Standard Bearing Group Co., Ltd is founded in 1983 and promoted into Group in 2002 which is a professional non-standard bearing company with comprehensive manufacturing capacity. The company can manufacture all kinds of non-standard bearings which can replace imported products. The company's output and market capacity is NO.1 in China. The No.1 center is set up here which is the first one in China.